First edition of this collection of stories. Octavo, original cloth, with over 200 drawings. Inscribed by the author on the front free endpaper, “To S.D. 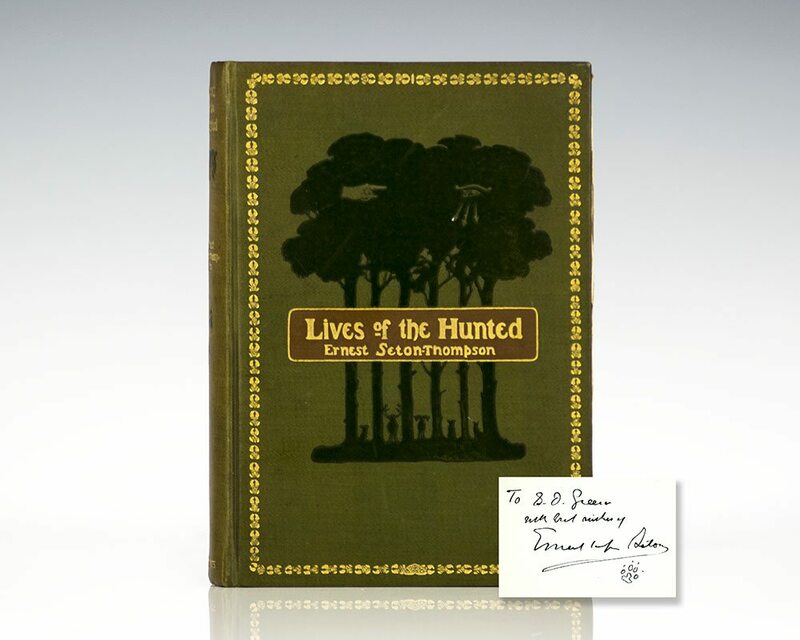 Green with best wishes of Ernest Seton-Thompson.” Seton Thompson has added a drawing of a bear paw. In near fine condition. The Biography of a Grizzly. New York: The Century Co, 1900. First edition of Seton-Thompson’s biography of a Grizzly Bear. Octavo, original pictorial cloth, illustrated with 75 drawings by the author. Signed by the author on the second free endpaper, “With best wishes of Ernest Seton-Thompson.” In very good condition. 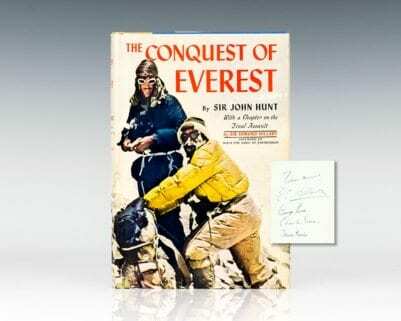 First editions are uncommon signed. 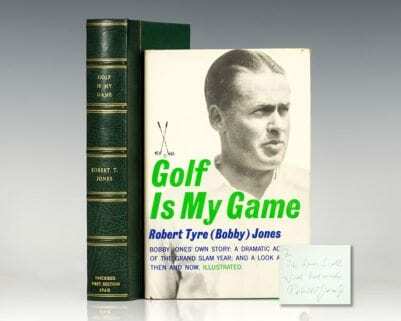 First edition of Plimpton’s classic work on golf. Octavo, original cloth. Association copy, inscribed by the author, “For Great Max another wild effusion- George.” The recipient was Max Steele, who along with Plimpton started The Paris Review. Additionally inscribed by golf legend Jack Nicklaus on the front free endpaper to the same recipient, Max Steele. Fine in a near fine dust jacket. Jacket design by Robert Korn. A unique example.